Barça face Celta Vigo on Thursday at 9.30pm CET at Camp Nou in the second leg of their Copa del Rey last 16 tie. The first leg in Galicia last week ended in a 1-1 draw with the away goal putting Barça in the driving seat in the battle to claim a place in the quarter-finals. 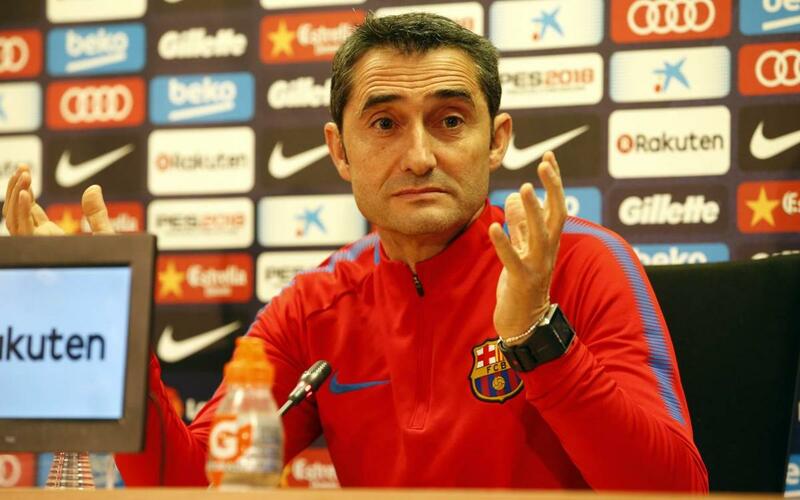 Coach Ernesto Valverde faced the media on Wednesday in his pre-game press conference, claiming the result from last Thursday would not influence his side’s approach. “We go into the game with the idea of winning it. It’s true that Celta have to score and they have done that in all their games away from home,” admitted Valverde. “We can’t think that the result is in our favour because then there is the risk that we will make a mistake,” he continued. The Barça coach was full of praise for Thursday’s opponents, a Celta side who are coached by former blaugrana Juan Carlos Unzué. “They are a team who try to dominate the game and they don’t want you to have the ball, they put pressure on you high up the field,” stated El Txingurri. “This time we know that it is all up for grabs as one team will be knocked out. Kit will be a great game to watch,” followed up the Barça coach.